Dave Karczynski is a writer and photographer specializing in sporting culture and narrative. Whether it’s the glacial rivers of the Himalayan outback or the high country lakes of the Polish Carpathians, deep wild country is where Dave feels most at home. 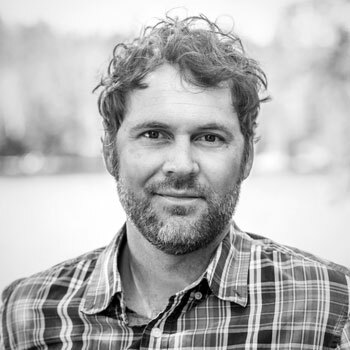 A former Zell Fellow at the University of Michigan and recipient of the 2012 Robert Traver Award for outdoor writing, he is a regular contributor to Outdoor Life, MidCurrent, The Drake, and many others. Dave Karczynski is passionate about smallmouth. Smallmouth bass are in more streams, rivers, lakes and reservoirs than any other game fish. Join us and learn about the cutting-edge techniques and fly patterns being used today to catch these exciting game fish. In addition to Smallmouth: Modern Tactics, Tips and Techniques, Dave is also the author of From Lure to Fly: Fly Fishing for Spinning and Baitcast Anglers. When not on the water or in the woods, Dave teaches creative writing and photography at the University of Michigan in Ann Arbor.